11th April 2011, London, UK – Samsung Electronics Co. Ltd., today announces that its slimmest and lightest smartphone yet, the Samsung Galaxy S II (Model: GT-I9100), will be available in UK shops on 1st May 2011. The Galaxy S II is the first handset to offer Samsung’s Super AMOLED Plus screen technology, the largest, brightest and most colourful screen available in Samsung’s portfolio of devices. 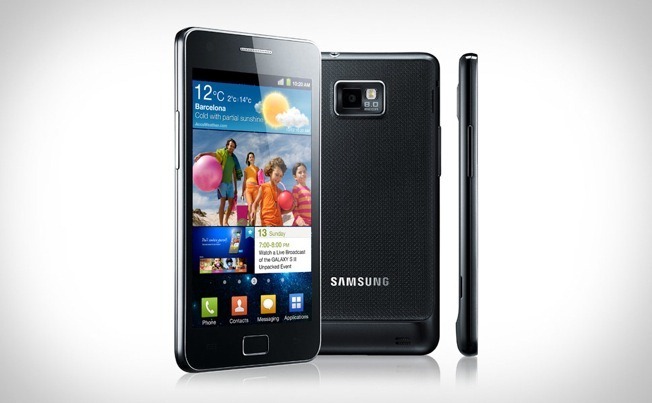 Super slim (8.49mm) and lightweight (116g) Samsung’s Galaxy S II runs on Android 2.3 (Gingerbread) and is super-fast thanks to its dual-core 1.2GHz processor. The device’s exceptionally bright screen makes it perfect for watching movies and TV or playing games and looking at apps, with its ground-breaking ‘organic’ LED technology, Super AMOLED Plus also saving energy so you can enjoy watching content without affecting the battery life. The Galaxy S II also features an 8 megapixel camera with 1080p HD recording and playback, Samsung’s patented AllShare technology so you can share pictures, movies, and music with other devices and Samsung’s new Kies Air which lets people manage their smartphone contents from their PC via local WiFi connections. A new ‘Live Panel’ feature on the Galaxy S II allows aggregation of live web, social networking and application contents to a single customisable home-screen, whilst it’s possible to place all the important parts of your life onto three adjacent home screens which you can switch between simply by pressing and holding on the screen. As with all the Samsung Galaxy family, the Galaxy S II features Samsung Hubs, providing a huge range of entertainment content, advanced mobile games and the ability to manage social networking accounts. The Samsung Galaxy S II will be available in the UK across all major networks and retailers.